We love the night life. More importantly, we love to enjoy the night life with our friends. So we created an app that allows you to do just that. 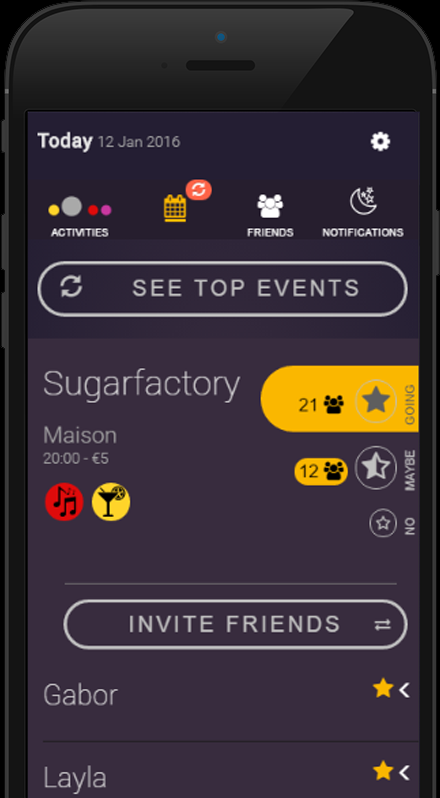 Vesper shows you the parties that are happening in your city tonight, and what your friends are planning. Sort events according to what you feel like doing, and be where your friends are. 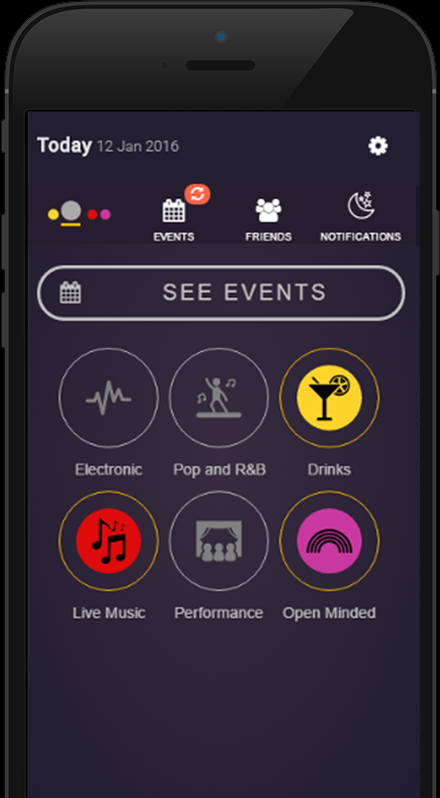 Together, you’ll create a night guide that makes sure you’ll never miss out on a concert, club night, or party again. Choose what you feel like doing, and we’ll show you the events you want to see. We’ll sort your events according to your mood, and tell you how you match with your friends. Vesper shows you all the events happening in your city tonight, and your friends that are attending them. We’ll make sure the events you don’t want to miss are always be listed on top. 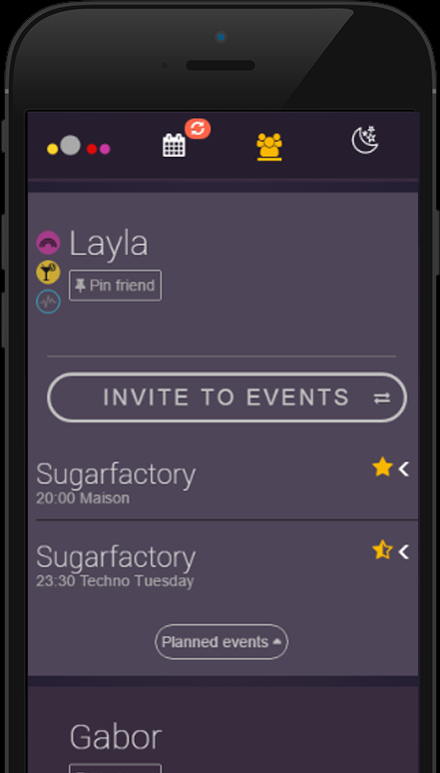 Connect to your friends through your contact list and see the events and activities they’re interested in. Want to be kept up to date? Subscribe to our news letter and we’ll keep you posted about Vesper. Want to know more, offer suggestions, or advertise through the app? Drop us a line at info@vesper.today and we’ll be in touch.